The love, the fashion, the music and more made Desert Hearts an incredible festival. Reminiscing on the magic that was Desert Hearts Festival, I can only smile thinking about the one of a kind experience that celebrates all things music, art, and love. 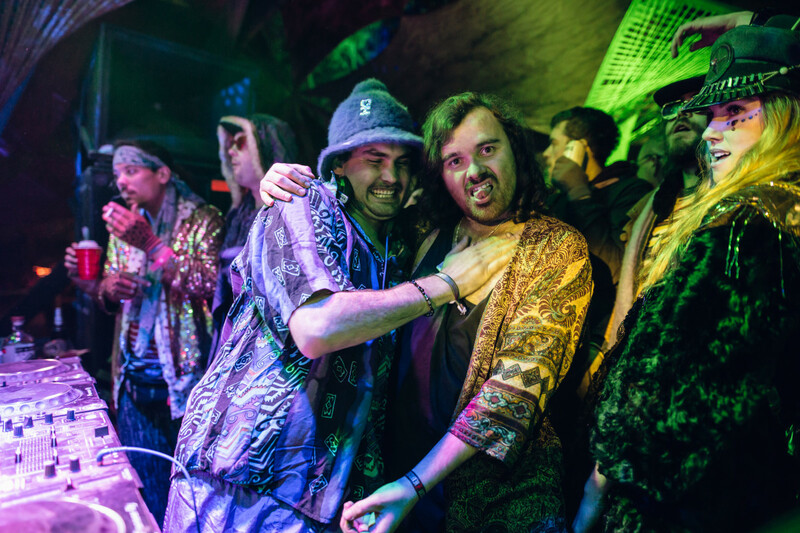 The unbelievable dedication of the artists and producers of the event brings together like-minded people ready to dance in an eccentric atmosphere, perfect for letting your freak flag fly. While my heart is still brimming with all the positivity felt throughout the weekend I thought I would break down my five favorite aspects of the festival that made Desert Hearts stand out to me. 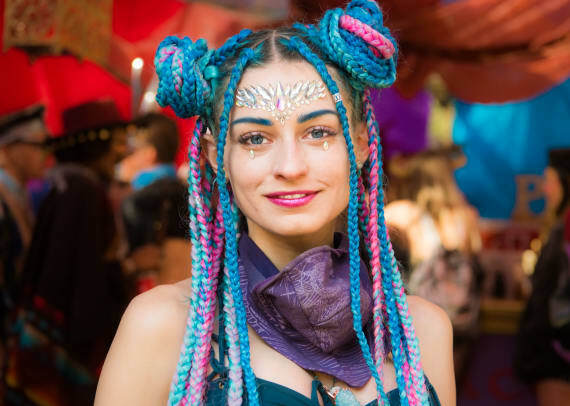 Anyone who has attended a music festival before knows that there is always a strong presence of unique individual style however, the EDM festival fashion doesn’t even begin to compare with the looks served at Desert Hearts. Almost everyone in attendance takes their creative fashion to the next level with elaborate and intricate details, mixing vintage colorful patterns with edgy sparkly textures to create some seriously stunning, chaotic glamour. Radical self-expression is promoted so strongly here that there is even a fashion show at the main stage to commemorate all the beautiful freaks and allow their wearable art to shine. 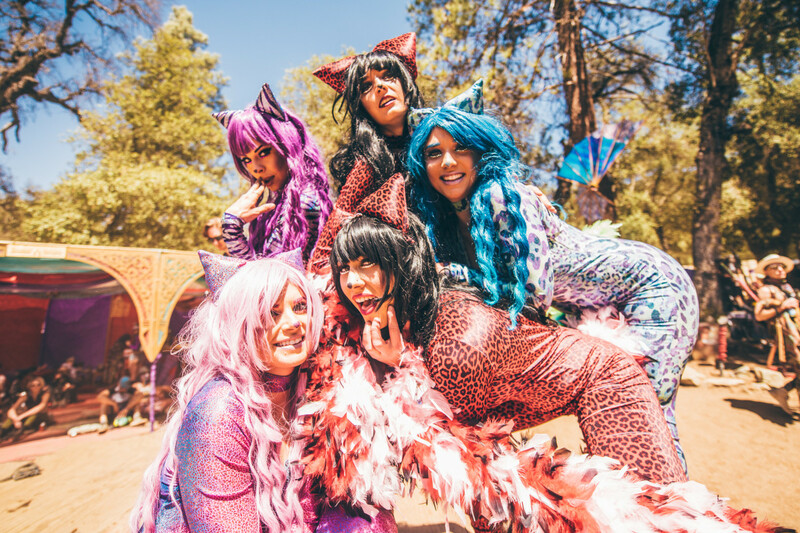 In case you didn’t come prepared with enough kooky garb, there are plenty of vendors at the festival selling one of a kind pieces from colorful furs, sequined hats and headpieces, kimonos, and an endless assortment of accessories that will allow you to cop that distinct Desert Hearts style. Gallery below! One stage, one vibe, 72 hours of non-stop music keeps the party going all weekend. 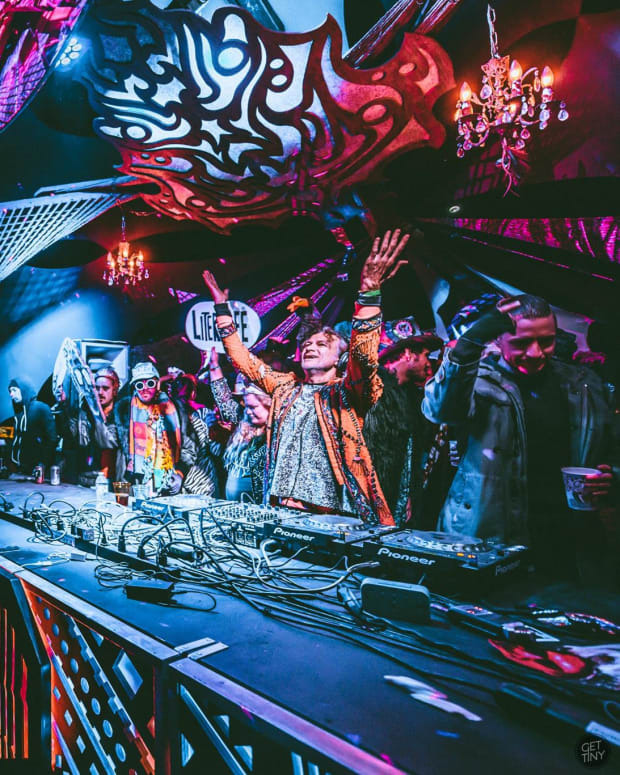 Desert Hearts throws out all notions of typical EDM festivals with competing stages, instead allowing each artist their own time to shine with an expertly cultivated lineup curated to match the mood at any given time. 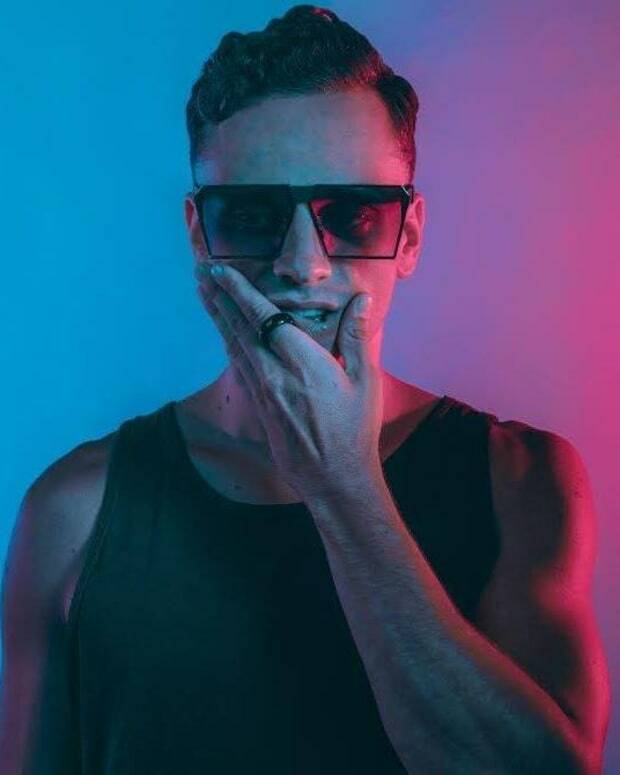 Daytime funky house sets effortlessly transitioned into surprisingly dark techno and then transcended into beautiful deep house sunrise sets with crowds sharing the space along with their mimosas. 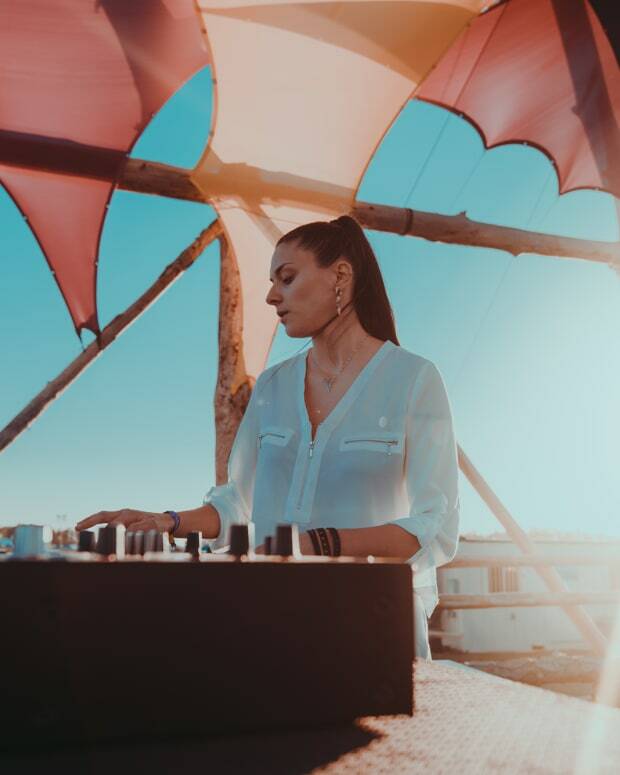 And of course the Desert Hearts crew always gets the dance floor grooving with their own distinct styles for an unreal party experience. The intimacy of the festival even allows festival goers to dance on stage along with the DJs and interact with them as they walk around and enjoy the festival themselves. The background of techno house music provides the perfect lens for experiencing everything else the festival has to offer. The Los Coyotes Indian Reservation itself is a stunning, scenic plot of land up in the mountains and while it may not have all the lasers and flashy gimmicks of its corporate counterparts, there is still plenty of breath-taking art everywhere you look deep in the forestry. 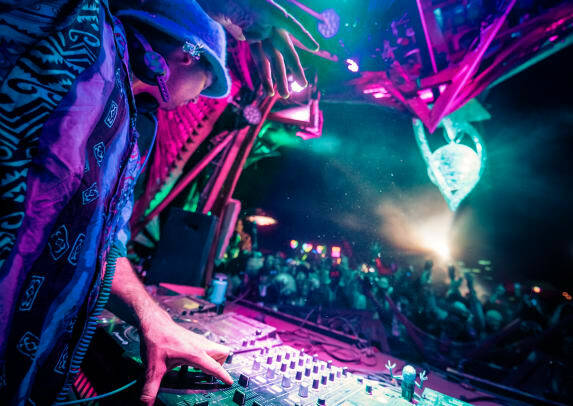 Surrounding the stunning stage is a plethora of interactive lit up installations, live artists, aerial dancers, fire spinners, and comfy hangout spots to take it all in. And if you wander away from the stage, you will find a variety of yoga classes, healing workshops, delicious food, and theme camps all adding to the community vibe. Check out the gallery below! 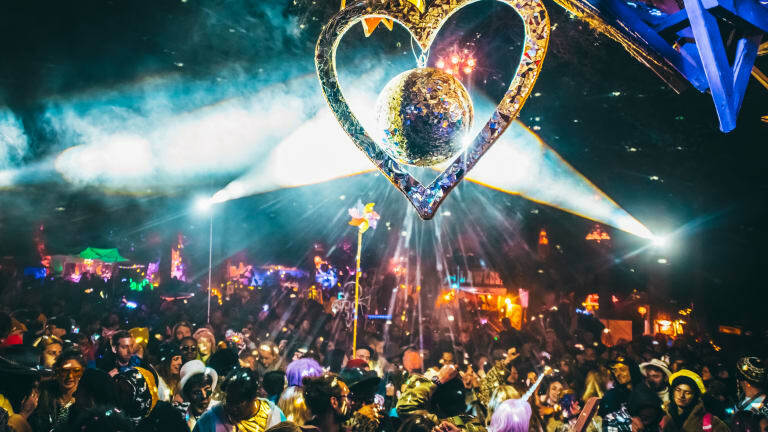 Typically transformational festivals are synonymous with do-whatever-you-want and Desert Hearts fully embraces that mentality with an emphasis on the weirder the better. 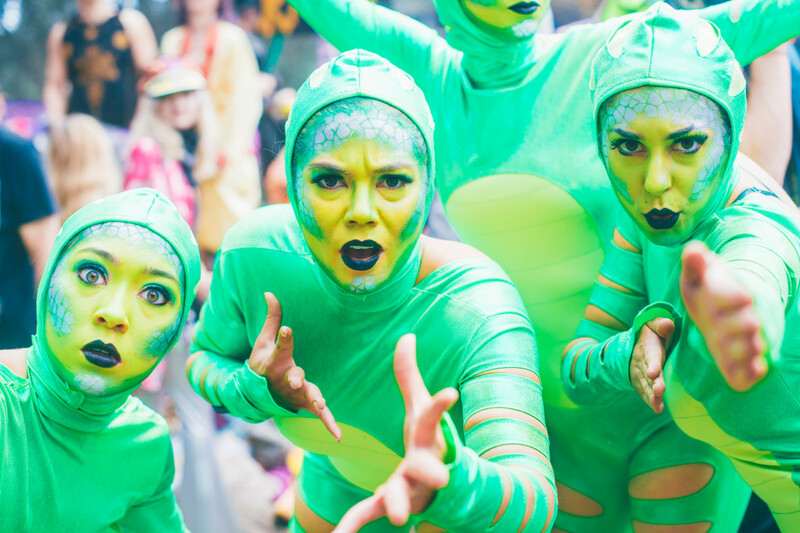 At any given point, looking out on the dance floor you may see a giant yellow school bus driving around, dancing groups of green aliens, flame dancers performing on fireballs, intense games of connect four, and cuddle puddles in inflatable floats. Everyone is accepted and encouraged to be their truest self with no judgement passed whatsoever. By the end of the festival, nothing will come as a shock and you’ll be wishing the weirdness would carry over into the real world. With a motto of "house, techno, love," you can only expect an abundance of love to be seen and felt in all aspects of the festival. The lack of many basic amenities including cell phone reception allows attendees to be fully immersed in the festival and connect with each other on an intimate level. Bouncing around the festival, you will be greeted with plenty of hugs, endless libations, deep conversations, and even breakfast tacos that fulfill your soul with love that you didn’t even know you needed. Because the festival remains relatively small in size, you almost feel like you become a large family by the end running into the same faces all over, sharing heart-warming stories of the events that have occurred throughout the weekend. The Desert Hearts crew is adamant about spreading the love which carries over to the generosity of pure strangers in a truly remarkable fashion, putting Desert Hearts in a league of its own.